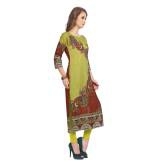 Featuring An Elaborate Spread Of Paisley Motif And Contrast Border Offer This Multicolour Kurta From Anuswara, The Perfect Symphony Of Colours And Prints. 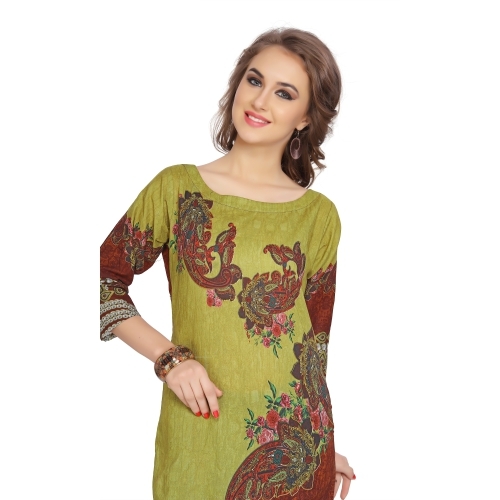 It Also Features A Boat Neckline With Stitch Details That Amplifies The Style Quotient. 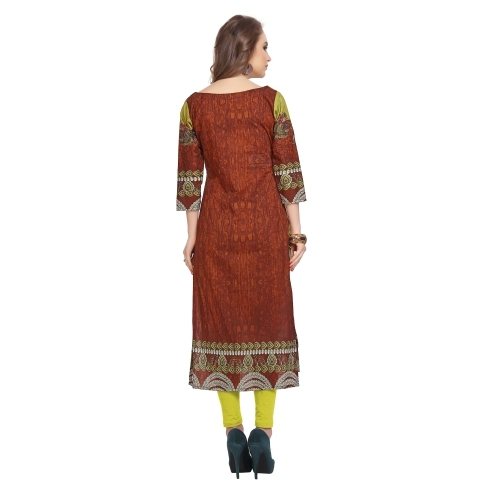 This Kurta Can Be Teamed With A Pair Of Brown Sandals And A White Churidar.